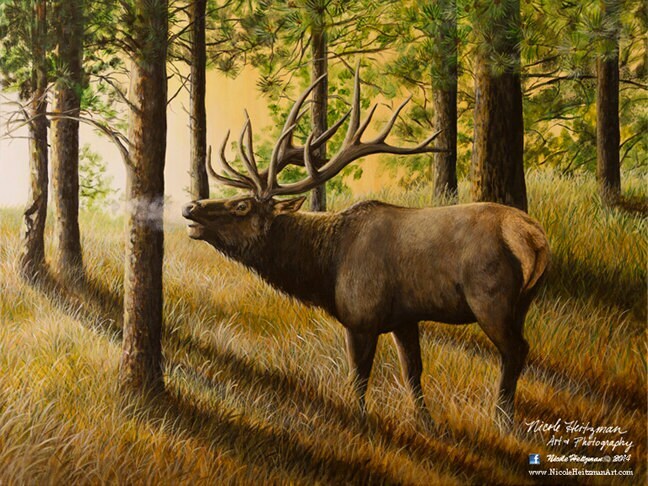 Artist, Nicole Heitzman, was inspired to create this painting from a trip through the Black Hills of South Dakota. This bull elk was bugling on a beautiful fall day. The title is "Evening Echoes". The image itself is 24" wide by 18" high and is a Limited Edition Canvas Giclee Print. There are 300 prints in this edition. It comes with the beautiful walnut colored rustic style frame. For other framing options, contact Nicole. (Frames vary according to availability.) 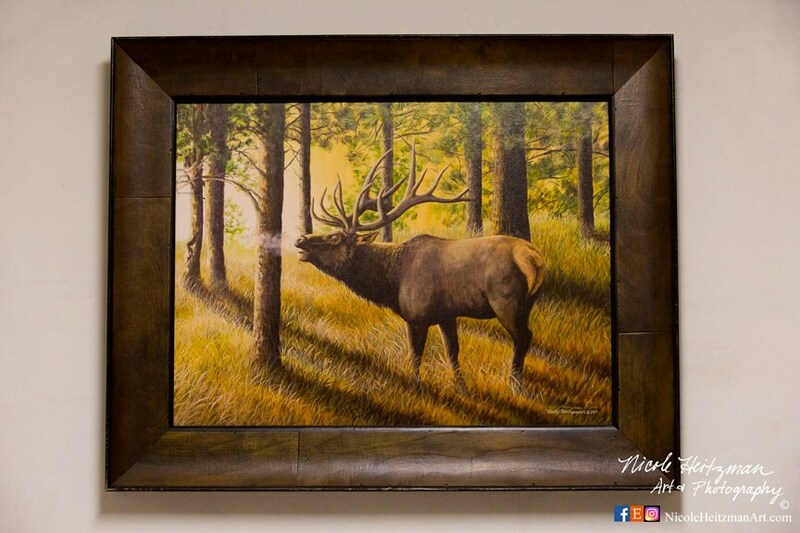 The frame pictured is available while supplies last.